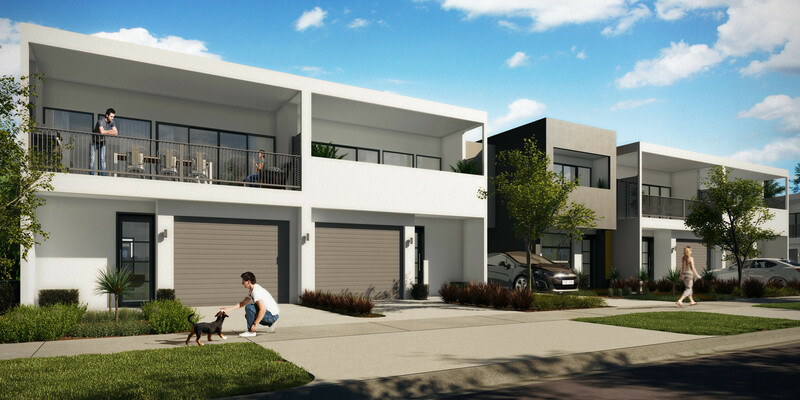 Develco Capital are a leading developer in Melbourne servicing areas such as Cranbourne, Cheltenham, Craigieburn, Epping, Eltham and many other fast moving suburbs for new homes and investment markets. To move their investments Develco Capital rely on Rendersmart to create cost effective yet high quality artists impressions to stand out in a crowd. Situated in Freshfields drive, Cranbourne was a parcel of land screaming to be developed with medium density town houses. Our team were approached to create some high impact exterior Artist Impressions to assist in presales and driving higher quality leads for this project. Cranbourne is a safe investment area with a median price of $320k and median rent of $330 per week and whilst there is an average rental demand there is a comfortable 5.4% rental yield and a 3.3% growth making this area very attractive to property investors. 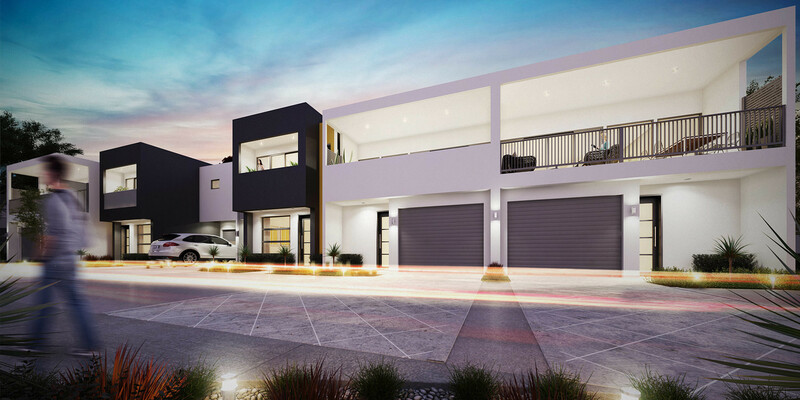 With a mix of render and light weight cladding this modern building design boasts large outdoor entertaining areas, modern gardens and plenty of room to move without feeling like you are on top of your neighbours. Our Artist Impressions with a mix of day and twilight 3D renderings help illustrate this to the market and drive presales prior to construction.